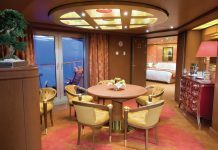 More short voyages, allowing for more people worldwide to experience the Cunard style of cruising, will form a major part of the line’s 2017 calendar year released today. 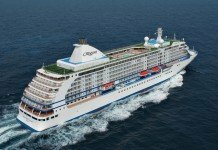 At the same time, the luxury big-ship brand revealed plans for its 2018 World Voyages which will see two of its three ships cruise in opposite directions around the globe. 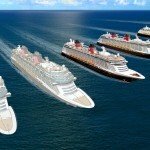 On sale from April 06, next year will see Queen Elizabeth, Queen Mary 2 and Queen Victoria visit 93 different ports in 32 countries, of which four – Souda Bay, Greece; Sibenik, Croatia; Brondisi, Italy and Praia da Vitoria, Portugal – will welcome one of Cunard’s current three ships for the first time. 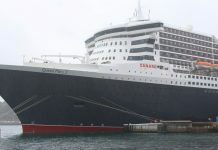 Eight cities – St Petersburg, Russia; Venice, Italy and Barcelona, Spain – will see a Cunard ship remain in port for an overnight stay while a further 18 destinations – including Boston, Monte Carlo and Dublin – will be open for passengers to visit for an extended period due to scheduled late evening departures. 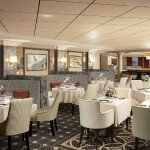 Cunard’s flagship Trans-Atlantic voyages from either Southampton or Le Havre to New York City will take place 24 times in the peak May to December period, with select sailings also visiting New England / Canada and the Caribbean. 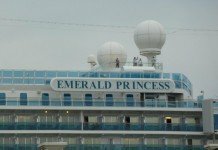 After returning from their annual 2017 global sailings, the fleet will break again for the rest of the year, with Queen Mary 2 running trips across the Atlantic, Queen Victoria running round-trip cruises to the Mediterranean and Queen Elizabeth sailing the Baltic region of Northern Europe. 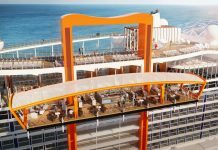 By the time 2017 rolls around, Queen Mary 2 will be like a brand new ship, with a major month-long dry dock refurbishment scheduled for May this year. 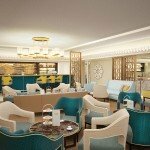 Among the works carried out will be a new look to the Suites and Restaurants for the ship’s high-end Grills guests, new Brittania staterooms including cabins for solo travellers, a redesigned King’s Court buffet, the transformation of the Winter Garden Lounge into the Carinthia Lounge and a new French cuisine restaurant in The Verandah. 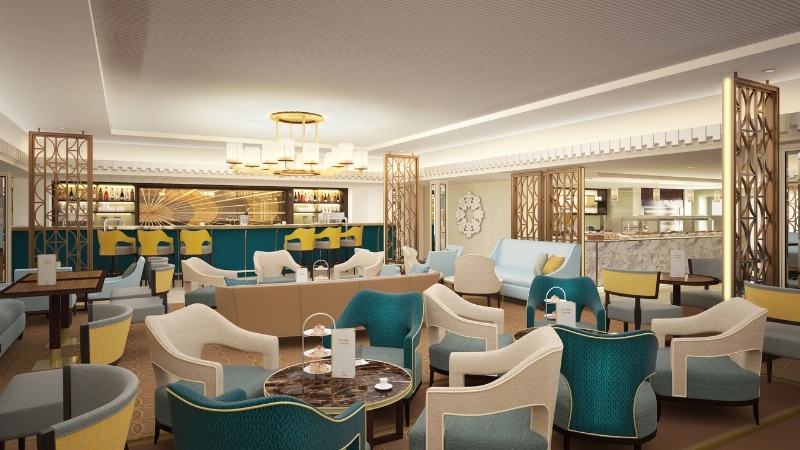 The former Winter Garden on QM2 will become the Carinthia Lounge following the ship’s refit. Today’s announcement from Cunard also saw it reveal details about its eagerly anticipated and famed annual World Voyages for 2018. 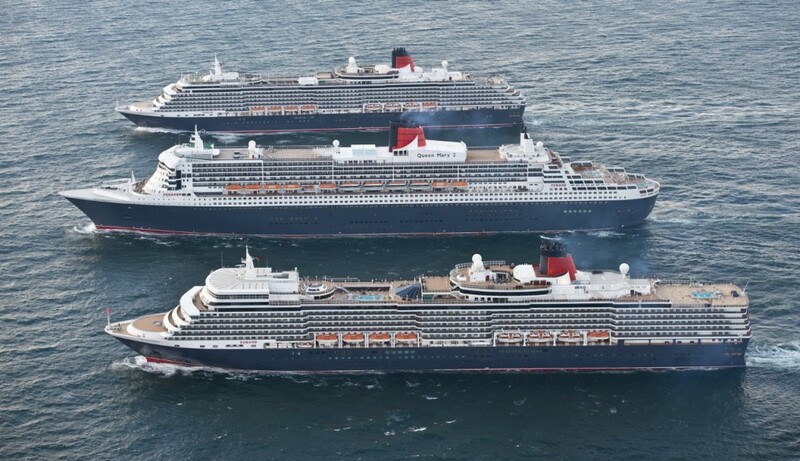 Unlike the last few years, only Queen Mary 2 and Queen Elizabeth will visit Australia and New Zealand as part of these World Voyages. 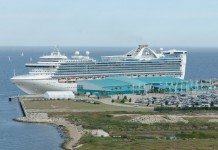 Queen Elizabeth and Queen Mary will set sail on respective 122-night and 120-night global circumnavigations which see the two majestic liners moving on similar courses around the planet. Heading westbound, Queen Elizabeth will visit 39 ports in 25 countries, of which five will see the ship in dock overnight. This voyage will also include transit of the Panama Canal and will return to the UK via the western coastline of Africa. 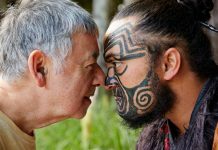 Departing around the same time, the East-West voyage on Queen Mary 2 will call in 46 ports in 24 countries, including two ports in New Zealand never before visited and full destination immersions in Kangaroo Island and the Margaret River in Australia. 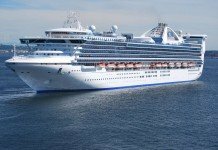 The ship will head via Asia on its return leg, with a highlight being a stop in Aqaba, Jordan where guests can explore the ancient ruins of Petra before the ship heads through the Suez Canal. 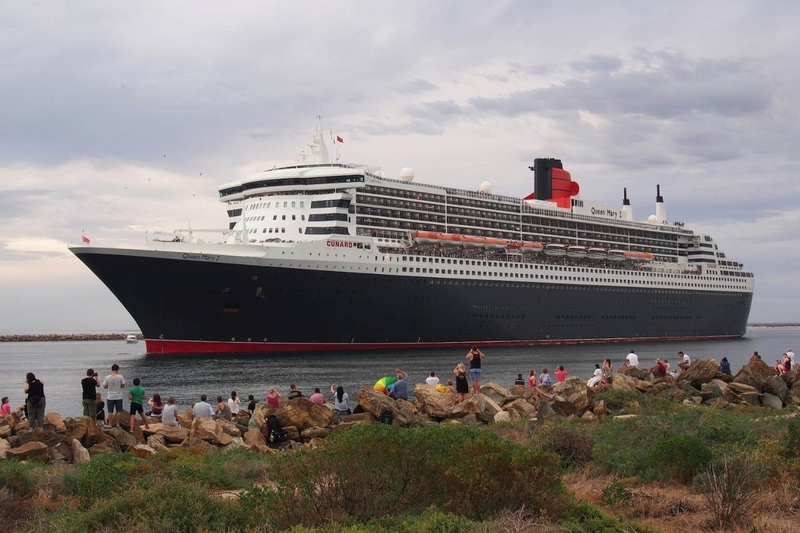 Crowds line the bank for a glimpse at Queen Mary 2 during a recent stop in Adelaide. The third ship in the Cunard fleet – Queen Victoria will instead embark into new territory on a mid-duration navigation of South America, visiting 22 ports around the continent. 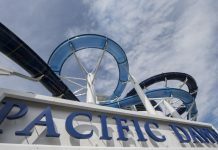 Highlights of this journey will include visits to the Magellan Straits, Chilean Fjords and Cape Horn as well as overnight stops in Rio de Janeiro and Buenos Aires. 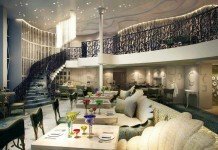 “With the remastering of our flagship Queen Mary 2 this year, and Queen Victoria‘s planned refit in 2017 – which includes the significant addition of Britannia Club accommodations – Cunard’s iconic vessels will be more luxurious than ever offering new and richer experiences for our guests,” Cunard president Richard Meadows said. 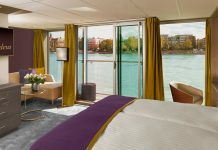 Early booking benefits for guests keen to secure their place on the entire global adventure include free gratuities, reduced deposit, a US$3,000 onboard credit, commemorative gifts or invitations to social occasions such as the World Voyage Cocktail Party or the Gala World Voyage Special Event. 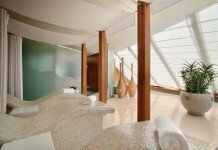 Cunard’s 2018 World Voyages will open for sale on April 13, 2016. 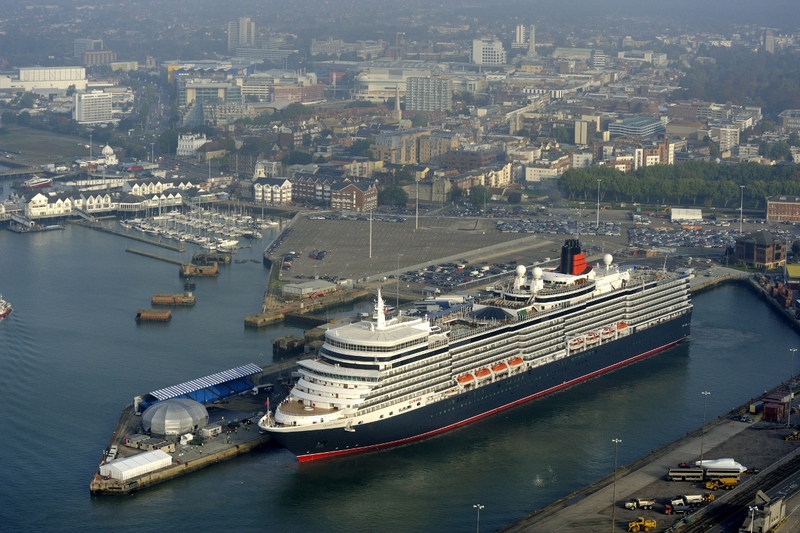 Southampton serves as the setting-off base for Cunard on its annual world voyages.